Digital: services – Welcome at Silobusters! What is it all about? In any case, it’s not about continuing your old way of working with new tools, it’s about redesigning team work at its core. It’s about changing the mindset of managers, team leaders, colleagues, clients. We provide your team with inspiring stories, based on our practice with concrete teams and organizations. 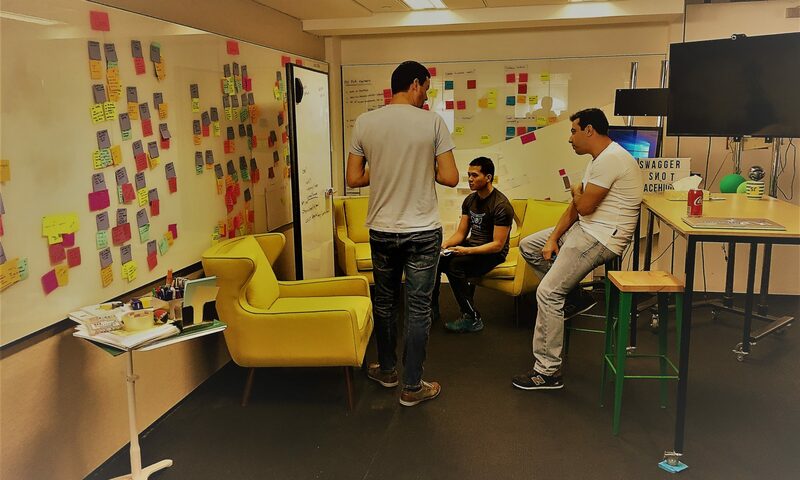 At practical level, we act in a very focused way: we only provide support for teams and companies that use Confluence (by Atlassian) as the software for their team work. We have our reasons for this. After more than a decade in the field, we learnt that the medium is the message. And the message today is not “My desktop”, “My folders”, “My documents”. Today the message is: we. as it is a so simple but powerful nodes-and-links based platform. This way it echos the powers of the WWW. And when you combine this tool with well-designed knowledge work processes, it offers the cognitive ergonomics you have been looking for for a decade now. We design effective “team working memories” underlying the most complex collaborative sense-making processes. If GTD amazed you for efficiency and effectiveness at individual level, this will amaze you at team and organizational level. Then we help teams redesign their work processes, using the capabilities that the platform offers. It’s hard for humans to shift their mental models; they keep on thinking ‘the old way’ (meetings, mails, Word-files) and this prevents them from seeing the potential of the new. With the use of a special tool that bears a strong inherent message of collaboration and openness, we open eyes in showing how a team can make sense in completely new ways – much richer, agile, much more effective and efficient. Through demonstration sessions, teams get inspired with other ways of working. This inspiration is the basis for the first use cases to be born on the platform. After that we continue weaving a fabric of use cases together with the team. Champion users get identified and supported to take over our job in a very short time. Tools highly determine how we behave and think. We develop a strong process focus on “the work” and prefer to focus on the (seemingly) unstructured work, in old contexts mostly supported with “having meetings”, “mail chats”, “Slack channels”, and writing Word- or Google docs (or alike) – which, in the best case, end in folders, just to die. From now on, we build living information as content, collaboration, communication, knowledge, learning, coordination, note-taking are all interwoven on one platform – and not dispersed over a set of loose tools. Next to that, we develop a strong data focus on our corporate information. A huge amount of our work seems unstructured. We learn how to bring structure in it – “the just enough structure” paradigm which is so important for effective and efficient knowledge work. We help teams in developing new skills and habits that come with the new way of working and that is based on the model of the network organization. For most teams and organisations this is completely different from what they are used to. is a programme that combines actions in the digital AND physical workplace, introducing transparency-increasing techniques to grow situational awareness of the complex contexts in which your organisation operates. Book a free chat with Filip to discuss what this programme could change in your setting.